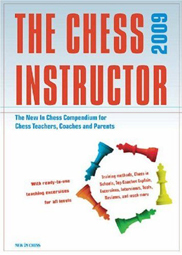 The editors profess a desire to make this book useful and so “have brought together a large amount of highly interesting and useful material, for chess teachers at all levels.” One of their goals in doing so is for chess teachers at local schools to learn from top coaches and vice versa. The contributors run the gamut from scholastic specialists to high-level trainers. We learn about chess programs in the U.S., U.K., and the Netherlands, and are treated to articles from Mark Dvoretsky, Igor Zaitsev, Alexander Vaisman, and Adrian Mikhalchishin. There are also contributions from Simen Agdestein, Jeroen Bosch, Steve Giddins and Charles Hertan to name just a few. Not only are the coaches and their methods profiled, but many of them also list their three favorite chess books, and there is a section of book reviews included at the end of the book that provides plenty more material or food for thought for the prospective trainer. This is an incredibly good idea for a series of books and I can well imagine that it may become biannual. There are also likely to be hundreds of coaches clamoring to be included in the next volume as a way of increasing their name recognition and status.